Volunteering time and resources to help others is a good thing. It’s something people and businesses should participate in whenever and however they are able. It provides positive impact in communities while simultaneously providing a rewarding experience to those involved. Most of us have proudly done it and admire others who are deeply committed to it. But when it comes to traveling abroad, “volunteering” is a complicated idea with sometimes unintended consequences. This topic has already been discussed at length, but we’d like to offer our perspective and approach based on a decade of experience in the space. When traveling to many countries in Africa, Asia and Latin America, it is important to recognize the role that Western colonization has had in contributing to their current socio-economic reality. While it is complicated and different for each country, that legacy of paternalism should minimally create a sensitivity to visitors stopping in for a few days to build a house or paint a school, when local workers are better qualified and need those jobs to support their families. In some cases, volunteering abroad has stemmed from a Western Savior mentality that further propagates dependency and destructive power dynamics. In the worst scenarios, volunteer travel has even cultivated devastating examples of “orphan tourism” or had other damaging effects. Due to the negative implications that volunteering can have in an international context, we don’t even use the ‘v’ word and intentionally avoid interactions that perpetuate these issues. But this is only part of the story - it’s much more than a semantic distinction. Traveling with purpose can be a positive and worthwhile endeavor, and we’re excited to share our approach and how we’re different. Traveling abroad to experience cultural immersion and to meaningfully contribute to a local community can be a powerful force in building a better world. This approach begins with authentic connections and the willingness to listen. It grows as we share our stories and learn from each others cultures, values and traditions. Ultimately, these genuine exchanges and new relationships shape our perspectives, develop us personally and professionally, and inspire our future. 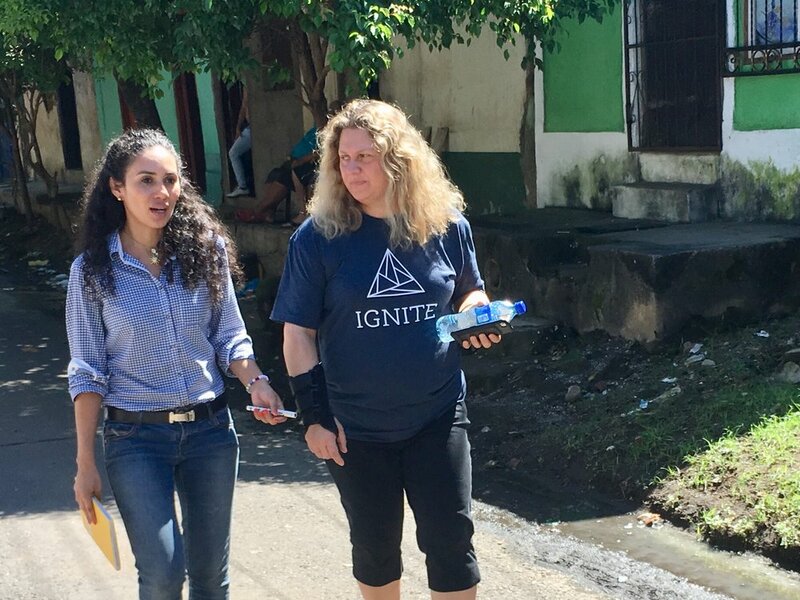 At Ignite, our journeys are designed to create a mutually beneficial and culturally empowering experience for both the travelers and our in-country hosts. Our itineraries begin by learning about the history and context of the country we are visiting. The entire experience is rooted in relationships we have with in-country partners, allowing participants to get to know local leaders and contribute to their efforts in meaningful ways. We work with local businesses and service providers, supplying significant revenue to the local economy. In this way, we are not simply avoiding the word volunteer, we are taking a holistic and constructive approach, and using appropriate language that supports it. We believe an experience of deep cultural immersion and meaningful community engagement has the potential to connect, inspire and transform. We'd love to show you. Thanks to Rebecca Wellisch & Aran Teeling for support drafting this piece.